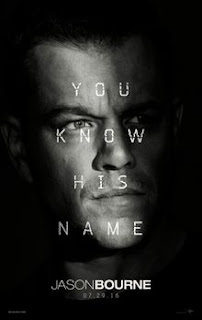 The character of Jason Bourne (Matt Damon) poses some interesting questions? Are outsiders the true patriots as both Donald Trump and Bernie Sanders have argued in their campaigns? Can a patriot be someone who works totally outside the order of a democratic society? Is Bourne a more violent version of Edward Snowden. Do the means justify the ends? The current sequel of the Bourne saga, entitled simply Jason Bourne, and directed by Paul Greengrass is loaded with this and many timely issues. The CIA director Robert Dewey (Tommy Lee-Jones) presides over a secret project called Iron Hand in which everyone will be bugged. Perhaps he would more fittingly have directed the NSA. And the character of Aaron Kalloor (Riz Ahmed), the head of an internet giant called Deep Dream who refuses to play ball with the government, recalls the recent controversy in which Apple refused to give government agents its encryption codes for the smart phones of the San Bernardino jihadists. Jason Bourne is a thriller whose suspense actually relies not so much in the improbable imbroglios with their glamorous James Bond like settings (Reykyvik, Rome, Athens, Las Vegas, London), but on issues which possess an almost journalistic veracity. At the end the question that this latest episode leaves viewers with is: will “the spy” come in from the cold? The answer is: not if he continues to be shot at in the movie's almost laughingly ubiquitous crowd scenes--which all take place during demonstrations and riots. In any event, as the curtain goes down on this current chapter in the Bourne story, the CIA threatens to be taken over by a beautiful Stamford grad, Heather Lee (Alicia Vikander) who's a classmate of the internet billionaire. However, in terms of our prospects for a better world, it’s hard to tell if the filmmakers regard the presence of these eggheads (or their real life Harvard educated counterparts, Bill Gates and Mark Zuckerberg) as crocking up to be a positive or negative thing? Will good looking Ivy educated geeks who treat reality like a computer game save the planet?